The owner of the building that houses the Bonnie Brae Tavern has applied for a designation that, if approved, would make it easier to demolish the structure within five years. Owner Dire Investments LLC is requesting a certificate of non-historic status for the structure at 740 S. University Blvd., which in addition to the restaurant also houses In & Out Cleaners. The LLC is affiliated with the Dire family. 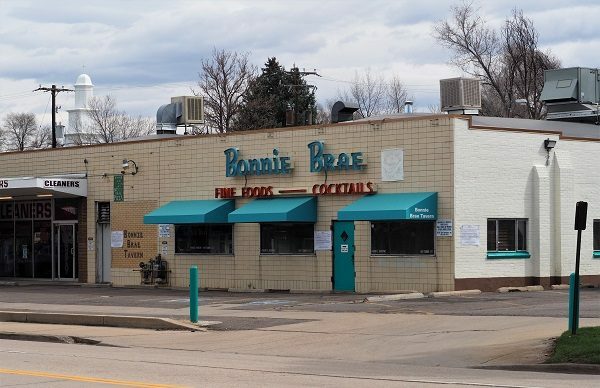 Carl and Sue Dire opened the Bonnie Brae Tavern at its current location in 1934. The business — which has a diner-like menu, with an array of sandwiches, salads and breakfast dishes, as well as Mexican standards and built-to-order pizzas — now is run by their grandchildren and great-grandchildren. “The owners are exploring future options & have no further comments at this time,” the restaurant said in a Facebook message to a reporter Monday. To understand the meaning of a certificate of non-historic status, it helps to understand the process that occurs when a property owner applies for a total demolition permit. Currently, when property owners do so, the city’s landmark preservation staff reviews whether the structure has the potential for historic designation. If it does, the staff produces a report detailing why, and that finding is posted at the property for three weeks, so that any interested parties can submit an application requesting the building be designated historic, which could prevent demolition. If no one submits an application, the demolition permit application continues through the process of getting other needed approvals. The Dire family, who operate the restaurant and own its building, also own the building at 750 S. University Blvd. used by Wish Gifts. Property owners that don’t have immediate plans to demolish a structure, but think they might want to in the near future, can apply for the certificate of non-historic status, which prompts the same review by landmark preservation staff and the same three-week posting period. If staff finds the structure doesn’t have the potential for historic designation, or no one submits a preservation application, the property owner gets to skip the landmark review process when applying for a demolition permit in the next five years. That finding is currently posted at the site. Any party that wishes to submit a landmark preservation application needs to do so by April 30, or request extra time. 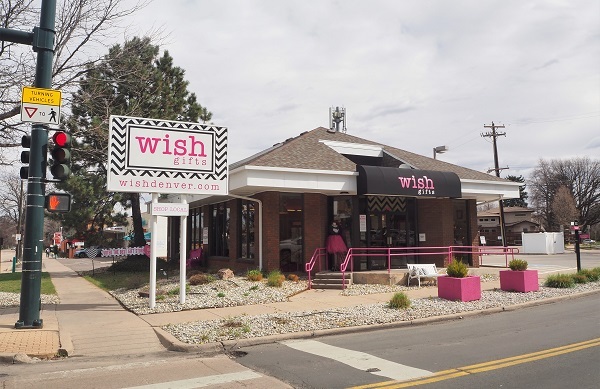 The Dire family also requested a certificate of non-historic status for a building it owns next door to the tavern at 750 S. University Blvd., the home of Wish Gifts. City staff determined that building does not have the potential for historic designation, so the certificate has been issued, according to city records. Between the tavern building and the gift shop building, the Dire family controls 0.5 acres at the corner of University Boulevard and Ohio Avenue. 1 Comment on "Owner of Bonnie Brae Tavern applies for designation that would make future demolition easier"
Carl & Sue invested wisely.